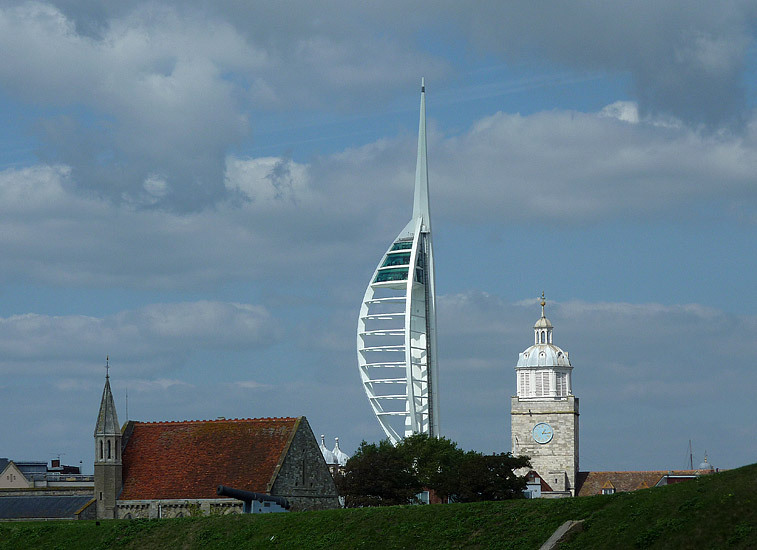 The above picture shows three of the most significant buildings in Portsmouth. Taken from the 17th century shoreline rampart Long Curtain, it shows the top of the Royal Garrison Church, the Spinnaker Tower, and Portsmouth Cathedral. They are, in fact, some distance from each other, the Garrison church being nearest, the cathedral some way further back, and the Spinnaker Tower further back still.